How to remove cat urine smell…. Step 1. Is to locate it using a black light to find the stain on walls or carpet, this is the (pet odor inspection). 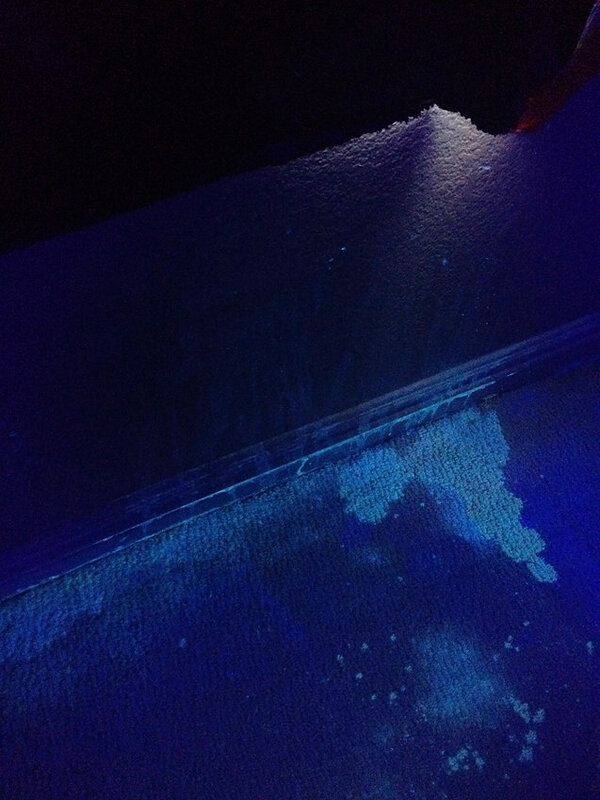 The use of a black light will illuminate stains you can’t see with the naked eye so you can concentrate your efforts on the stain to prevent spreading the cat pee smell to other areas. Finding Cat Urine Smell using a UV black light to locate urine stains. Step 2. Products: There are many online odor removal products being sold to remove cat urine smell and you can use your favorite. Just stay away from products that contain soap! If you want our recommendation on how to remove cat urine smell? You can just purchase a $3.00 gallon of white vinegar. Please keep in mind odor removal products are for maintenance use and most are not intended for severe odor remediaiton. 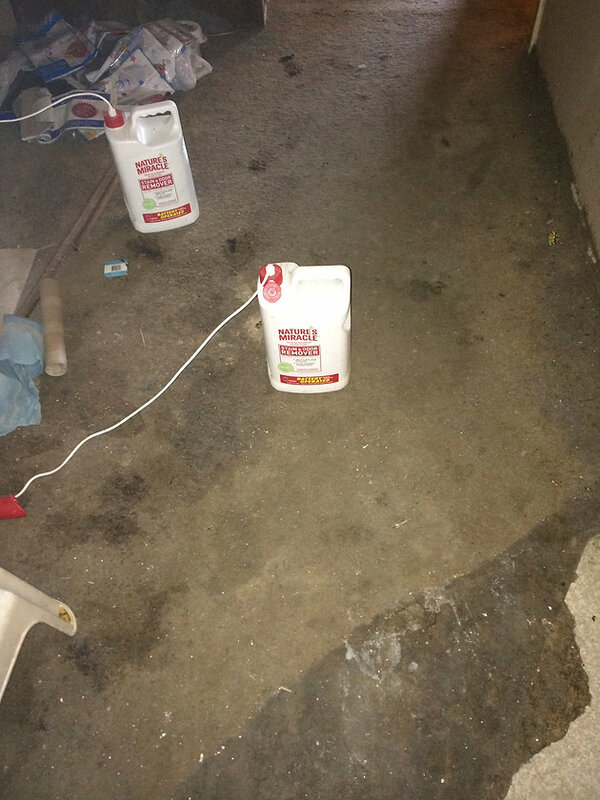 If this has been an ongoing problem call a professional to prevent spreading urine and moisture into sub flooring, baseboards & drywall. Step 3. Tools: If you read the manufactures instructions on most products the recommended tool of choice is paper or cloth towels to blot up urine and moisture. But if you want to know how to remove cat urine smell professionally you will need a wet and dry vacuum which can be purchased at your local hardware store for less than $50.00 You will also need pliers, utility knife & plastic sheeting. Step 4. How to remove cat urine smell on carpet? Prepare surface…We recommend disengaging the carpet removing the soiled portion of pad and any damaged tack strips. Place plastic sheeting over the subfloor, pull the carpet back in place. 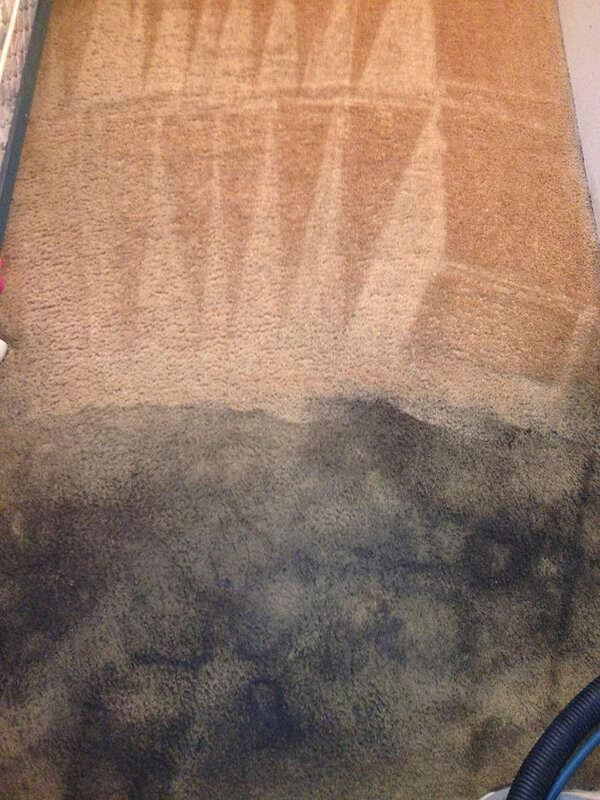 If there is severe urine damage then carpet removal is a must! How to remove cat urine from subfloor? If you see damage like this call a professional! Step 5. How to remove cat urine smell? 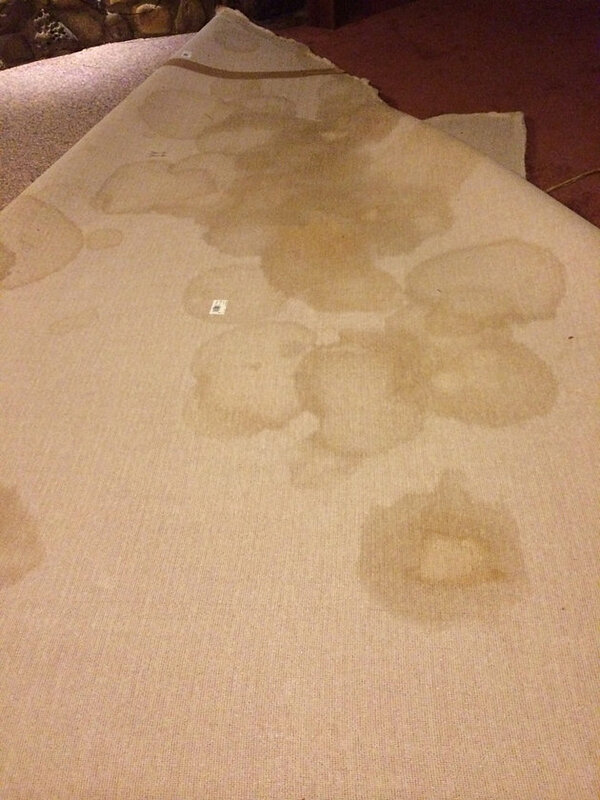 Initial Rinse: Using the wet and dry vacuum and a 1 part mix of your favorite product or vinegar with 4 parts of warm water pour the solution onto the stained area and let soak into the carpet the extract thoroughly repeat this step until 3-5 times or more if needed to remove the physical urine from carpet. Step 6. How to remove cat urine smell? Overnight soak treatment: Now that most of the urine has been rinsed from the carpet you can now apply your favorite product as instructed on the bottle or undiluted vinegar to the affected area place a sheet of plastic over the top of the carpet and let stand for 24 Hours. Cat Urine Smell caused by these are stains from an ongoing urine problem! Step 7. How to remove cat urine smell? Final Rinse: Extract solution with wet & dry vacuum till most of the moisture has been removed then pour warm water on area and extract repeat 2-3 times as needed then check for cat pee smell. If no odor is detected use a fan to speed up drying process. 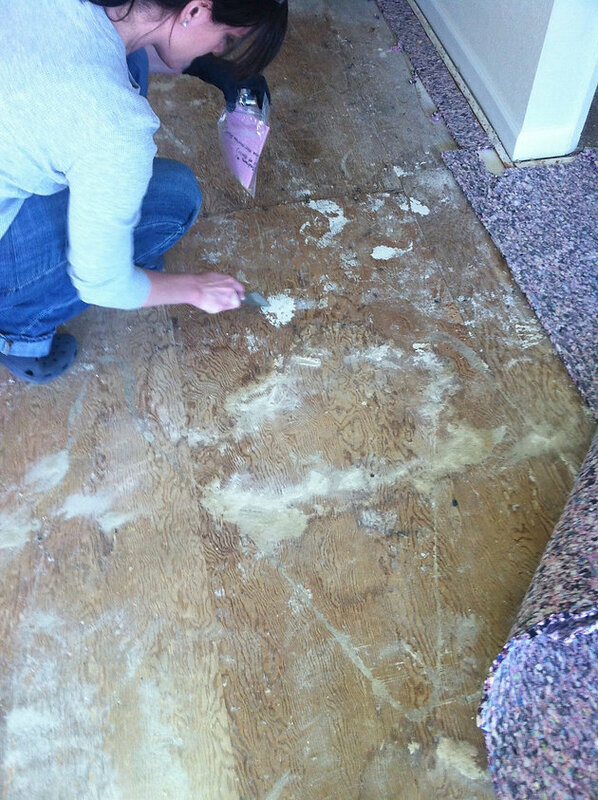 Seal subfloor, install new pad, tack-strips & seal subfloor as needed. If there is any residual odor repeat step 6. If the urine stain is far enough away from the wall you don’t have to disengage the carpet for this process to work….